Put a record on! – It’s time for more music! I found the first LP that I ever owned the other day. 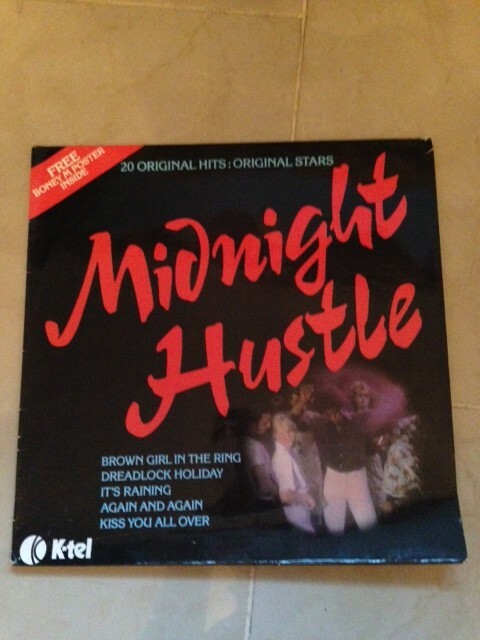 It’s called Midnight Hustle. Basically, it’s a collection of hits that were popular in 1978. Included are Boney M’s Daddy Cool, Substitute by Clout and Dreadlock Holiday by 10CC. Although Santa brought it to our home I was allowed a sneak preview at low volume late that Christmas Eve. There were some advantages to not believing in the white bearded man. I remember being intrigued by the artists with my ear pinned closely to one of the speakers. There was something special about the album covers. Many of them have become iconic art pieces. We read or sang the lyrics from the sheet inside. We learned from the sleeve notes who composed the words and the music. Sometimes we discovered a secret poster. After a brief love affair with Showaddywaddy I began to assert myself with more respected choices. I Iived for Top of the Pops every Thursday night. Blondie, Dexys Midnight Runners, Human League, Simple Minds, Big Country, Talking Heads and U2 dominated our living room. At the same time I was graduating from comics like Roy of the Rovers, Victor and Tiger to glossy magazines like Smash Hits and Look-In. I remember being very proud of U2 when they qualified as a back page poster. Little old Ireland was an underdog in those days. The Boomtown Rats and U2 showed the world that we Irish could produce the hits too. The record player fell victim to the more compact and mobile cassette and later the CD almost killed it completely. The revolution of downloads in recent years has made music something that is listened to more in our own company. People jog, share a bus seat or dart across a busy street with their ears plugged. It no longer fills rooms. I think what was special about the record player was that it created a dedicated space for listening to music. I often wonder do young people ever listen to the tracks in their entirety? Or take note of the running order of the them? Much time was spent on getting everything right by the artists. Nowadays it’s too easy to flick from one song to another. You dared not scrape an LP in those days! Indeed, you can purchase a few tracks and never experience the album as a whole. Psychological studies confirm that music has a very positive effect on our mood. When we listen or play music an endorphin release takes place throughout our bodies. It’s not just the distraction that helps. It goes much deeper than that. It seems that music just does us the world of good. It has become a therapy in its own right. We could do with a little more music in our lives. 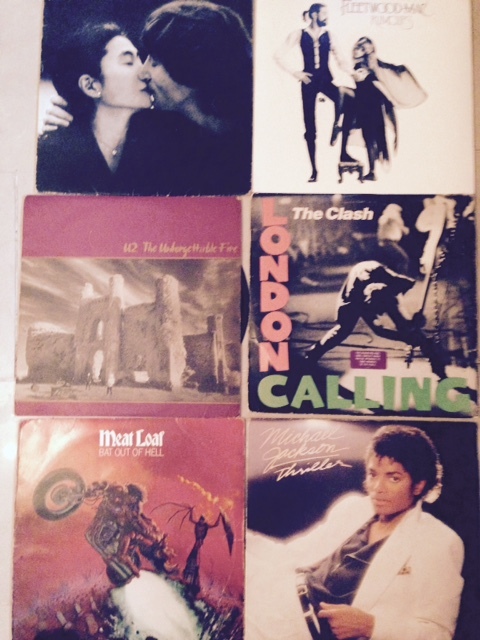 I dug up some of my old LPs. a few weeks ago. 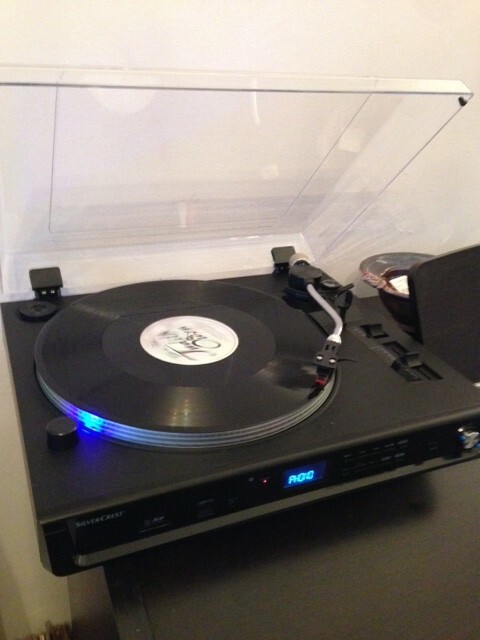 I bought a record player and was feeling nostalgic. They’re actually back in vogue. We have a room downstairs which thankfully has no television in it. The record player now commands a prominent position. And over the Christmas season it will keep us company. 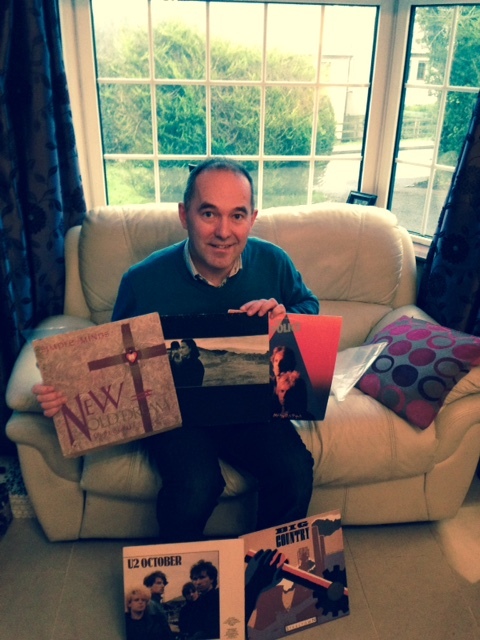 My family may think that it’s a mid-life crisis but I’ve been asked a few times in recent days- what record are you putting on? And I like that question!